Welcome to another installment of PuzzleNation Book Reviews! All of the books discussed and/or reviewed in PNBR articles are either directly or indirectly related to the world of puzzling, and hopefully you’ll find something to tickle your literary fancy in this entry or the entries to come. 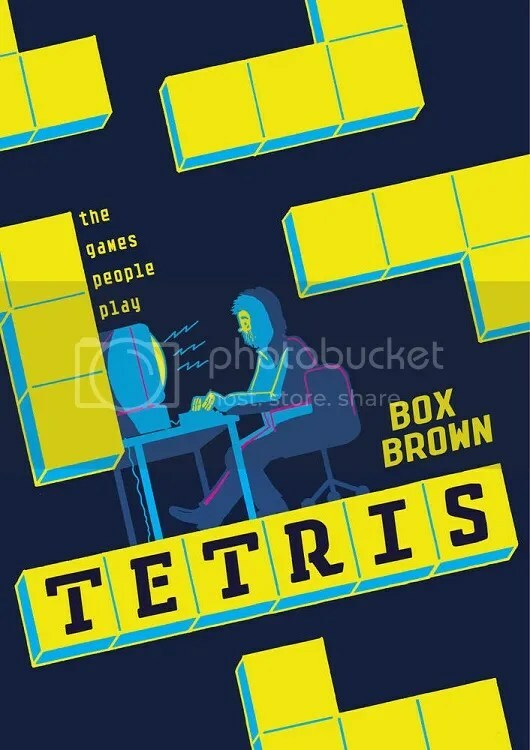 The subject of today’s book review is Box Brown’s graphic novel Tetris: The Games People Play. 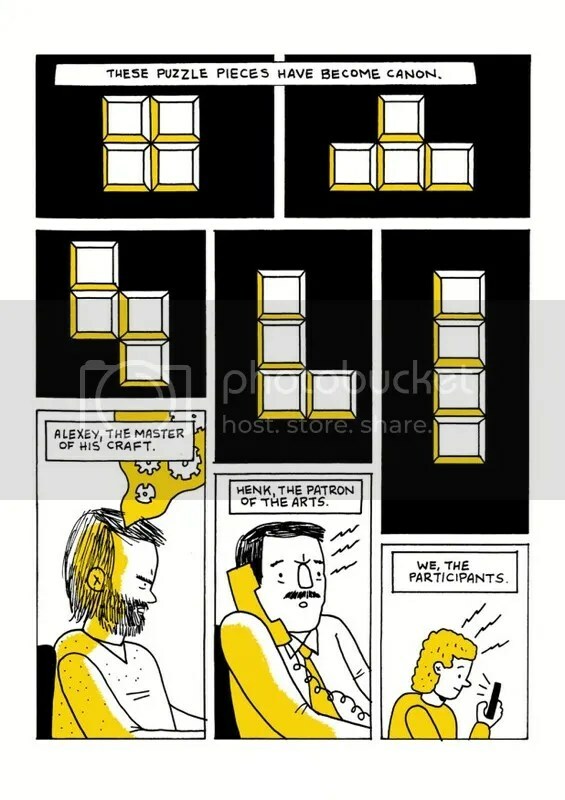 Tetris was a masterpiece right out of the gate. Simple, elegant, and infinitely replayable, it would go on to become one of the most beloved video games in history. And that popularity, that universal charm, sparked a bidding war unlike anything the video game world has ever seen. With secret meetings, dubious contracts, language barriers, and the involvement of the suffocating Soviet regime, it was a recipe for sitcom-style misunderstandings on a global scale. Tetris: The Games People Play brings the whole ridiculous story to life with immense charm and style. From the creation of Alexey Pajitnov’s delightfully addictive brainchild to the globe-spanning race that ensued as production rights went international, this is a story as convoluted and madcap as it is epic. Although the drawings accompanying the story are relatively simple, the large cast of characters — from executives and game designers to members of the Soviet government — never feels overwhelming or confusing. Illustrator and author Box Brown brings the story to life with the same panache and colorful style that made his visual biography of Andre the Giant such a warm, enjoyable read. The rounded edges and busy frames help sell both the silliness and chaos of the story, and the mix of yellow, black, and white shading in each illustration harkens back to the earliest days of video games. Most importantly, Brown never allows readers to lose sight of Alexey’s role as creator and keeper of the faith, a man who, under one of the most oppressive regimes in history, brought to life a game that continues to delight generations of fans. As entertaining as it is insightful, Tetris: The Games People Play is a fun, fascinating read.